Condition: Good, upper margin repaired on verso. Few marginal tears, please study image carefully. Overall size: 41 x 34.5 cm. Image size: 36.5 x 31.5 cm. 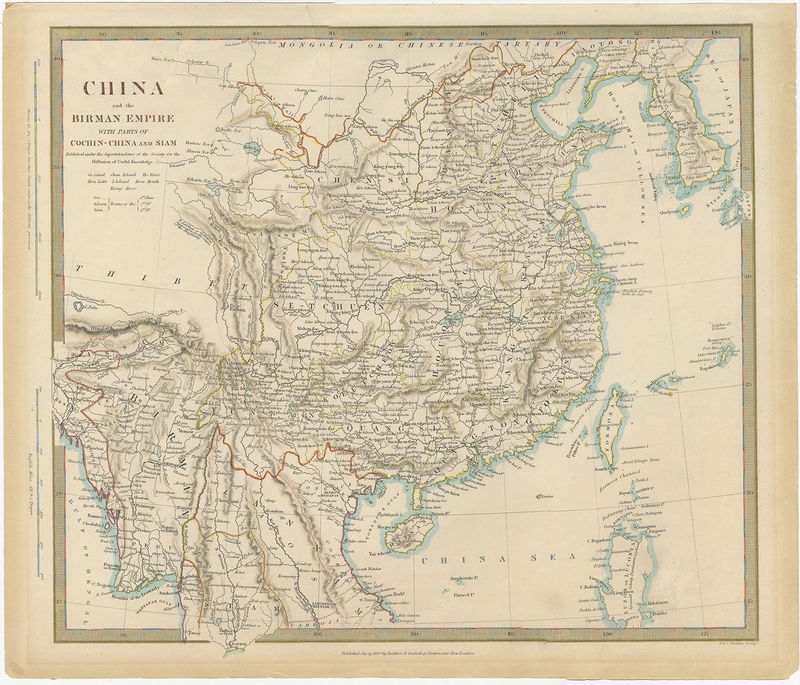 Description: Antique map titled 'China and the Birman Empire with parts of Cochin-China and Siam'. Detailed map of China, Formosa (Taiwan), Korea and the northern part of Southeast Asia. Artists and Engravers: The Society for the Diffusion of Useful Information (SDUK) was created to provide the British public with reasonably priced printed information. 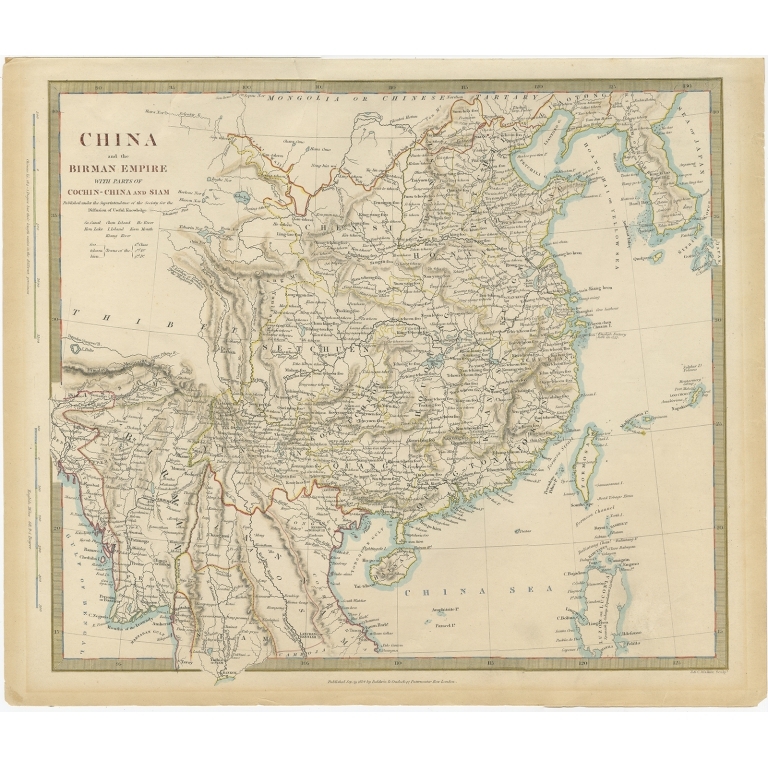 The 2 volume atlas created by the SDUK was published from the early 1830s to the 1870s, although it seemingly flourished from about 1840 onward. The work included a series of star charts and City plans.